This living room is excelent to modern interiors. 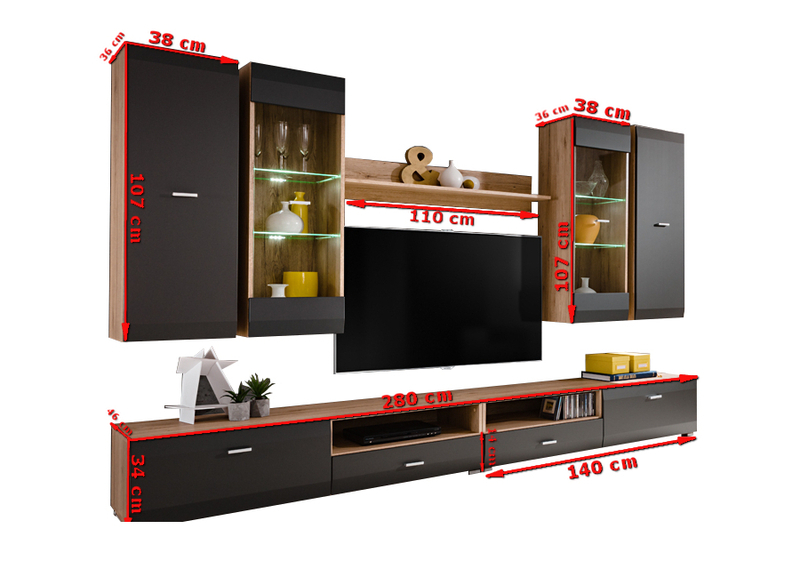 Set consist of 2 wall hanged display units, 2 wall cabinets, TV cabinet and 1 shelf. Front panels and carcass in mat. LED lights are included. European PLUG. Set requires EU - UK power adaptor. Glass parts made of tempered glass . Board Thickness 16mm. PVC handles. 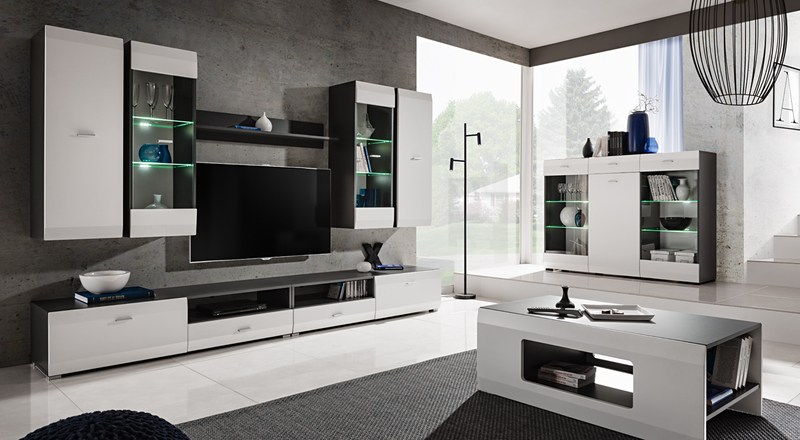 The furniture comes flat packed with all fittings and manuals needed to assemble the item.